Now that's a NBA Finals match-up you don't hear too often. Perhaps for good reason. LeBron James (and James Jones) is going to the NBA Finals for the 5th straight year (6th time in 8 years). In case you're wondering (and of course you are) it's the first time that has happened in 49 years (Since Bill Russell, whom the Finals MVP award is named after, and the Boston Celtics did it in 1966). Perhaps this will make up for that fact that NO ONE else in Cleveland's core lineup (Irving, Smith, Shumpert, Thompson, Dellavedova, and Mozgov) have ever been to the Finals (Miller, Marion, and Perkins have). Apparently coach Kerr is used to doing some heavy lifting in the Finals. Presumably this counts more than the other rookie head coach, David Blatt - who is in his first year being associated with the NBA altogether (never mind that he coached overseas for almost twenty years, was named coach of the year six times, and coached the European championship team last season......but that doesn't count right?). Last time two rookie coaches faced off in an NBA championship? How about the first time there was an NBA championship, in the 1946-47 inaugural NBA season. Well, at least we've only had to wait 33 years to see another rookie coach win an NBA championship (Pat Riley did it last with the Lakers in 1982). How about in LeBron's first year back in Cleveland, the first time the Cavs have been to the Finals in 8 years - when LeBron was 22, he won't be facing a southwest opponent in the Finals for the first time. After going 1-4 against Texas, perhaps he's ready for the Pacific? After losing in the first round last year, the Warriors improved by 16 games (51 wins to 67 wins). With NO first overall lottery picks on their roster, could you picture them as the best team in the NBA a year ago? Or, with an average winning percentage of .311 that last 4 seasons and three first overall lottery picks in the last four years, could you picture the Cavs in the NBA Finals a year ago? Is it me, or does it seem like there is void in the NBA power landscape right now? Let me just come out and say it.....I have NO FREAKIN' clue who is going to win this NBA Finals! Both teams are just too new to tell. Will it be the best team, with the reigning MVP, from start to finish? Or the best player in the world, in his prime, on a team of destiny in his home town? 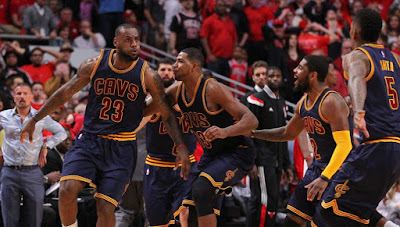 By the way, how did LeBron, become an underdog??? You know, the 6'8", 250 ib, supreme do-everything talent and leader. Is it possible we support him more in this role? And by the way, how did Steph Curry, the un-athletic sharp shooter from collegiate powerhouse, Davidson, become the most dominant force in the NBA??? The Warriors are one of the best teams in NBA history (10th team ever to win 67 games or more). But the reality is that when at full force, for the last ~60 games of the season, the Cavs are just as good. Or should we call it G.S.O.A.T ......as in Greatest Shooter Of All Time? Of course I'm talking about Steph Curry. Most three point field goals made in an NBA season , ever (286)..... set this year, to break the previous record.....which he set two years ago (272). Most three point field goals made in an NBA playoffs, ever (73).....set this year....and still going. But don't take my word (or your eyes word) for it, listen to two-time MVP Steve Nash. "'Why not?' He's as good as anyone I can think of on any level - pure shooting, array of shots, percentage, getting hot, plays to the end - he checks all the boxes...."
What do you think about his shooting in comparison to yours? "He's such a beautiful shooter with such an array of shots and such a quick release... Steph takes it to another level.....He can do it from deeper, and frankly, I never took a step-back. He has no trouble taking a step-back and making it. You add that to all the other shots. It could be the clincher in this game of deciding who's the best"
Okay Steve, what's the bottom line? "Truly, from the eye-test, he's the greatest there's ever been." By the way, if you're worried about consistency, at 27, Curry already has the record for most consecutive seasons leading the league in most three point field goals (the last three years). And speaking of Nash and MVPs, Curry is only the 5th point guard in the last 40 years to win NBA MVP. Is this the best LeBron has ever been? 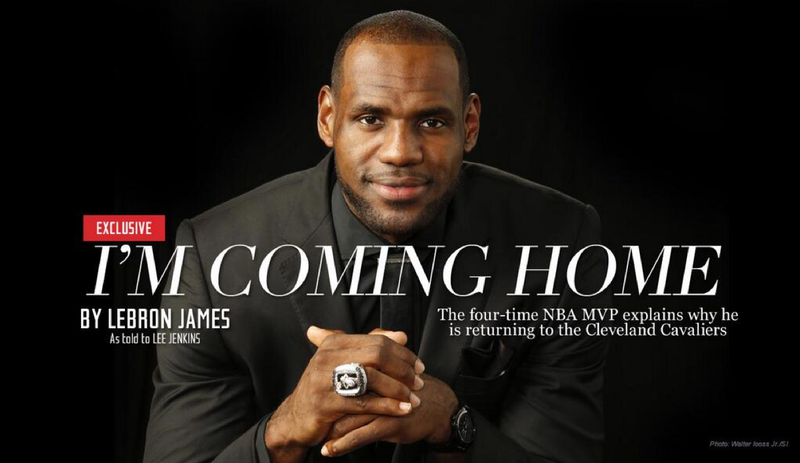 LeBron, what do you think? This just in: LeBron James is the first player in NBA history to be averaging at least 27 points, 10 rebounds, and 8 assists a game entering the NBA Finals (he's averaging 27.6, 10.4, and 8.3 per game, respectively). This not just in: LeBron James is Great. Is the Eastern conference significantly weaker than the West? Of course. But if going to the Finals 5 years in a row was that easy, anyone could do it....while changing teams. By the way, how many other players can dramatically change the fortunes of two franchises so drastically in the past 5 years? After four straight Finals, Miami is a lottery team now (yes, in the East). After 3/4 last no. 1 lottery picks, Cleveland is in the NBA Finals. Still, would leading Cleveland to a chip in his first year back, over one of the top teams (statistically) in NBA history, be his greatest accomplishment? Taking a team from the lottery, with a rookie head coach, with no real previous playoff experience from their core players, while losing Kevin Love, and Kyrie Irving being hobbled, while beating the Bulls with a game winning shot, then beating the 60-win Hawks by averaging a near triple double.....and ending a 50 year drought???? Yeah. 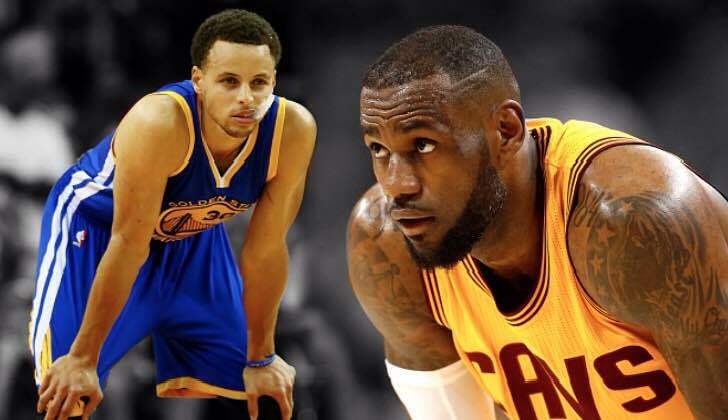 If LeBron wins it this year, he is in the G.O.A.T debate. Perhaps this is all you need to know for designing defensive strategies for the Finals? Curry, shooting 92.3% from the left corner three!!!! Though he is shooting a pedestrian 44% overall for thee. And dig this, Curry is shooting ~10 for 21 per game....with 11 of those attempts being three point shots (up from 8 a game during the regular season)....meaning, he takes more threes than twos! Through the first 3 games in the Western conference Finals, in which Golden State was 3-0, 55% of Steph Curry's shots were uncontested (34 of 62). The best shooter in NBA history is getting wide open looks for more than half of his shots???? What happens when you contest his shot? In game 3 against Houston, Curry scored 40 points on 12-19 shooting, 7-9 from three. 10 of those shots were uncontested....and Curry made all 10 (including 6 threes). ........So you're telling me there's a chance? 1) Push him off the three point line and make him shoot twos! 2) Don't leave him open! And for heaven's sake....what ever you do....DO NOT leave him open in the left corner for three! Seems like a good place to start, no? LeBron is shooting 17% from three! Beyond that, he is shooting 33% outside of the paint. Hmmm.......Maybe let him shoot the ball? LeBron is at his best right now in the mid-post, where he can bully his way to the basket, get jump hooks, get fouled, and make one out of every three fade-away mid-range jumpers. He is also pretty good at getting a head of steam on power forwards that try to guard him on the perimeter to get all the way to the basket for a dunk. But in averaging 8.4 assists a game for the playoffs (a shade under 10 for the Eastern Conference Finals) Perhaps LeBron is truly transformative when finding JR Smith, Shumpert, Delladova, James Jones and co. opener three pointers. Again, we are living in a three pointer or lay-up word these days. 3) Don't double team and allow him to facilitate on three point shots! ***Note, this is the Strategy the Spurs took two years ago in the Finals, and it worked for the first three games....until LeBron started making his shots and figured it out, particularly in game 7. No one has taken so many Knicks to the promise land since Patrick Ewing (I bet Knicks fans can appreciate his greatness in a new light these days). 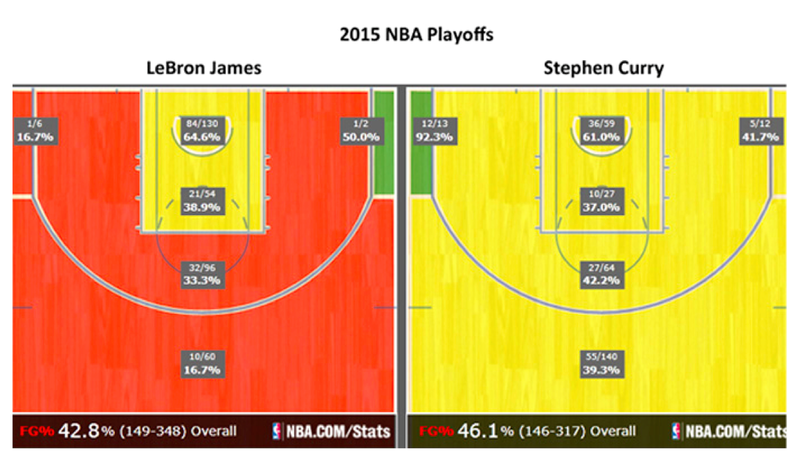 Can two non-canonical power forwards determine the outcome of this series? Draymond Green was runner up for the defensive player of the year and is averaging 14 points, 11 rebounds, and 5 assists in the playoffs. He shoots 5 three pointers a game (though at only 26%) and takes 12 shots a game total. Tristan Thompson is averaging 9 points and 10 rebounds a game on 6 shots. He is widely regarded the best offensive rebounder in the NBA. Can Thompson guard Green on the perimeter? Will Green help off Thompson? And if so, will that just enable Thompson to dominate the offensive glass even more? 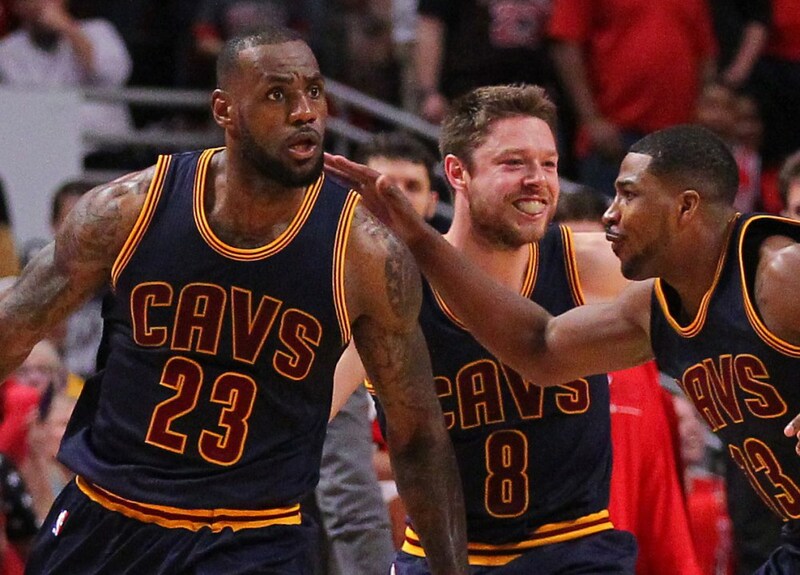 If and when the Cavs go small with LeBron at the 4, will Green guard him? If and when the Warriors put Thompson in a Curry screen, will Thompson hedge out on the shooter? Talk about transformation of the NBA. When was the lsat time there wasn't at least one All-star post player in the NBA Finals??? 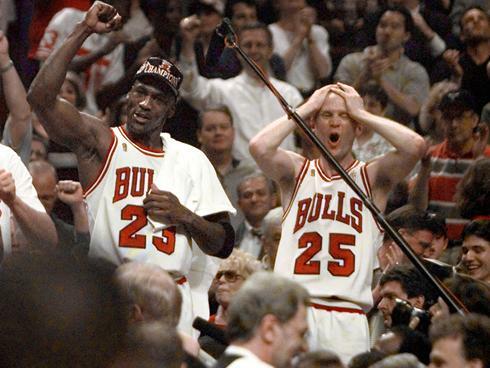 Could it be 1992 with the Bulls vs. Trailblazers? Real talk: LeBron James is the best post-up player in this series. 37 points in a quater, 52 in a game. All-star season, after a world cup MVP and gold medal. 19 points a game in the playoffs. These are the second dudes.....who will have a breakout game in the Finals? Who can potentially "steal" a game? Seems to me that Klay is be better off the ball, and will look to run around screens, maybe with an occasional post-up. Whereas Kyrie is better dancing with the ball....can he put some pressure on Curry to defend. Or will Klay guard Kyrie, if need be? We talk about all the shooting from Curry and Kyrie...lest we forget these guys are point guards (though they don't really put up point guard assists). That's right. 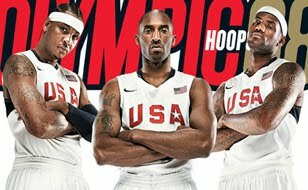 That's Kyrie breaking down the entire USA olympic team.....Kobe (twice) Durant, and Harden in one play. How about we just let these guys go one on one for a quarter of each game??? 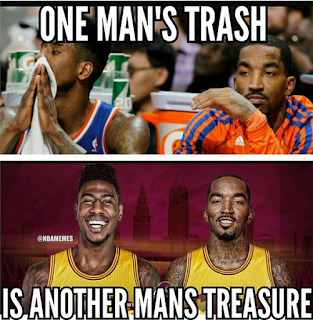 Or more specifically, JR Smith and Iman Shumpert. 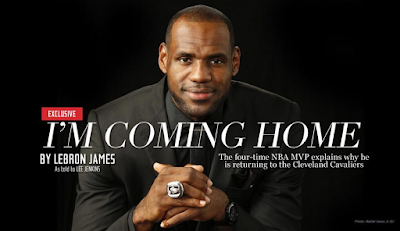 LeBron went home to better his community and himself. As a New Yorker - for the past 15 years, its been obvious that Knicks have to leave New York to have better opportunities.....which in turn makes New Yorkers (such as myself) proud. 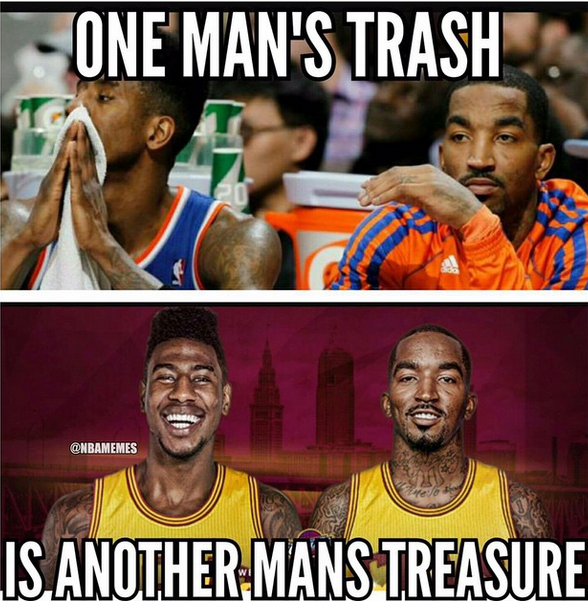 Therefore, how cool, if not ironic, is it that JR and Shumpert can potentially be the biggest difference makers in the Finals? It's not a coincidence that the Cavs finished 34-9 when these two played with LeBron, nor that they are 12-2 in the playoffs. They represent everything that Cleveland needed to become a legitimate team: toughness, swag, and skill.....all things associated with New York, by the way. Is it a coincidence that after the Love and Irving injuries, Cleveland went from 20th in defensive efficiency to 3rd in the playoffs? That's right, put Dellavadova on the point, LeBron at the 4, Thompson at the 5, with JR and Shump guarding the wings. Now you have the capability to switch everything and guard out on the perimeter. Is it a coincidence that after the Love and Irving injuries, Cleveland went from 4th in offensive efficiency to 1st in the playoffs? That's right, reduce the isolation heavy offense, and surround LeBron with spot up three point shooters, as well as one of the best offensive rebounders in the game. Shump is averaging 10 points and 5 rebounds a game....while being a lock down perimeter defender. He can also make spot up threes. He was tasked at times with guarding Derrick Rose and Jeff Teague. I'm sure he'll have his opportunities with Steph Curry and Klay Thompson. JR is averaging 13.5 points and 5 rebounds a game.....while being a capable defender and a play maker. Is he mercurial? Of course. Is he another John Starks type (except more athletic and with a better handle)? Probably. Yes. He can punch a dude in the face to get suspended for two playoff games. But he can also make 8 three pointers (most in Cavs history) in an Eastern conference finals playoff game...on the road. He is also a former 6th man of the year and I'm sure he'll have his chance to mix it up with Klay Thompson. The great thing about JR Smith is that he's not afraid to take any shot. The bad thing about JR Smith is that he's not afraid to take any shot. Bottom line: JR Smith doesn't give a F%$K. But sometimes you need that. In the past few weeks....there have been almost a dozen such texts. You always feel that someone like JR Smith can help you smoke out your opponents.....you're just not sure if he'll burn down your house in the process. But you know what? If you're team, and you're entire city, are underdogs facing one of the best teams in NBA history, trying to end a 50 year championship drought......perhaps you need a mentality like JR Smith. And sometimes, this mentality rubs off on your teammates....in a good way. LeBron: "just give me the ball and I'll win us the game." Wondering who LeBron is looking at??? It will be for either Oakland or Cleveland. The last time, two teams this dominant (24-5 combined) in the playoffs met in the Finals? 1991 when the Bulls met the Lakers. In case you don't remember, that's when Magic (31 and in his prime) unexpectedly led a rookie coach and bunch of young inexperienced players to the Finals (sound familiar)......only to get smoked in 5 games by the upstart Bulls....initiating their dynasty. We compare LeBron to Jordan. But maybe that's archaic. What about Curry? Has the NBA evolved that much? Does he fit the mold for what the dominant players in the NBA should look like.....or he is what dominant players in the NBA will look like? By the way, Jordan and Pippen didn't have a dominant low post player (unless you count Jordan during the last three peat.....they also didn't shoot many threes, although that had others who did - including Steve Kerr). Can Curry and Thompson follow and similar path, and become one of the best back courts to play the game? Certainly, if they win it this year, you'd expect more to come, right? Stats tell you one thing. Does Golden State have the better team? Yes. Does Golden State have the best player this year? Yes. But.....maybe this is bigger than stats? Sometimes the game is weird. Sometimes it has a purpose bigger than numbers. In 2011 the Heat were huge favorites over Dallas. But Dallas was a team of destiny, that was driven to win a title after their 2006 meltdown. Last year, the Heat were two time defending champs. But San Antonio was a team of destiny, that was driven to win a tittle after their missed opportunity the previous year. It seems like for the first time in his career, LeBron may actually be on the team of destiny, with a whole city supporting him. This is why he came home.....perhaps this is bigger than stats? I can't tell you how this will end. "I can't guarantee we'll win.....but I guarantee we'll play our a$$es off." And that's all we want. Dr. JRS is literally a basketball scientist. He has a Ph.D in biomedical science from NYU and was a 4 year member of the St. John's university Men's Basketball Team. Dr. JRS was a part of the St. John's 2000 Big East tournament championship team as well as the 2003 NIT championship team. He also was an eight year assistant coach for a NYC public high school basketball team. Currently, Dr. JRS is a postdoctoral fellow at Harvard and serves as NBA correspondent for "The Sports Rabbi" radio show and website.